Lemon-colored fawnlilies as seen at Star Flat to the west of Selma, OR................April 5, 2009. 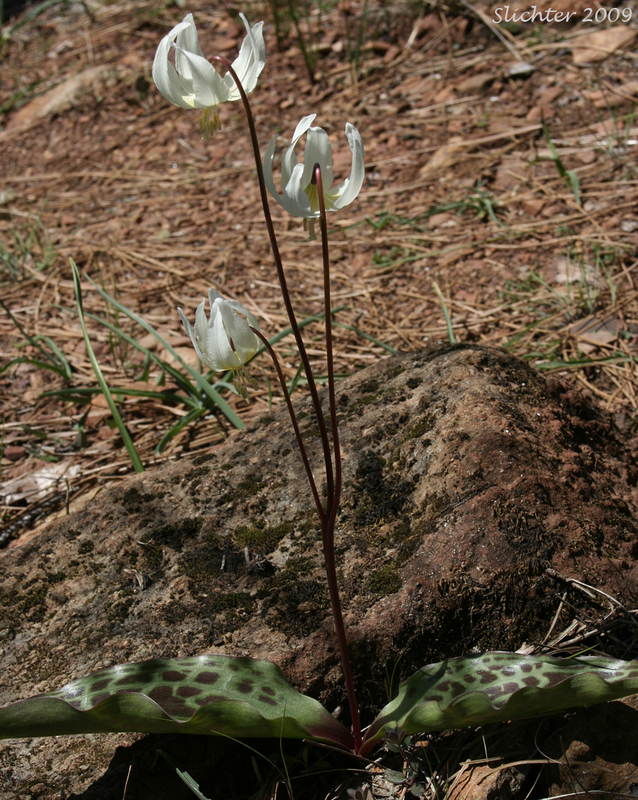 The similar Howell's fawnlily is generally found east and southeast of Selma, OR. 1. Six tepals are a creamy, somewhat yellow color. 2. Leaves basal, elliptical in shape, with a lightly mottled surface. 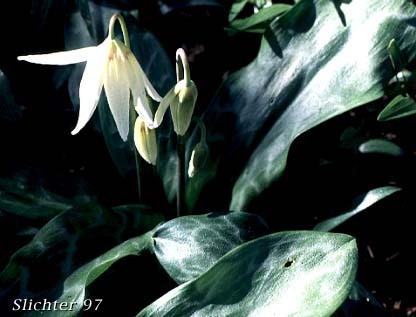 The lemon-colored fawnlily is found in light to moderately thick woods. 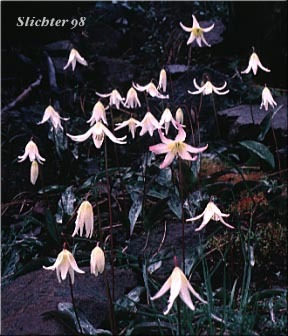 The lemon-colored fawnlily is found in the Illinois River Valley of southern Josephine County, southwest Oregon. 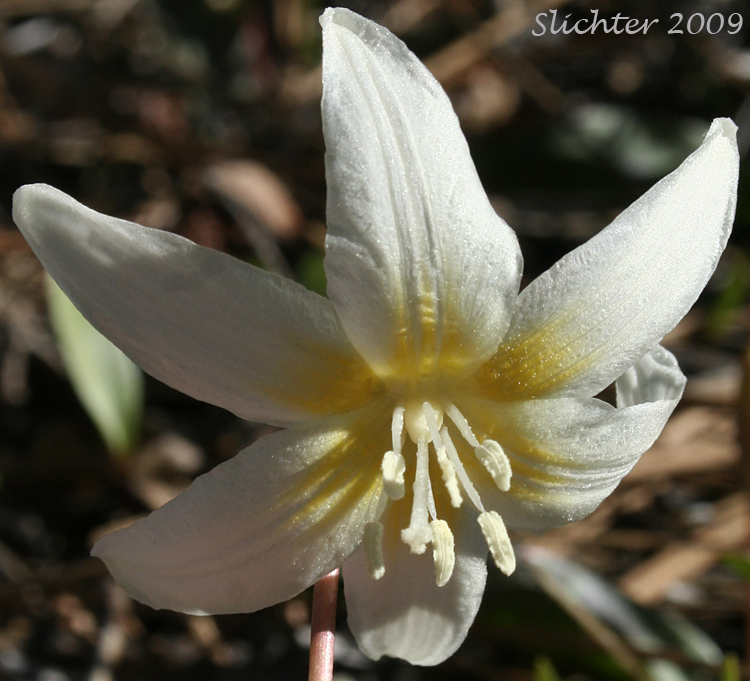 A close-up of the flower of lemon-colored fawnlily as seen at Star Flat to the west of Selma, OR................April 5, 2009. 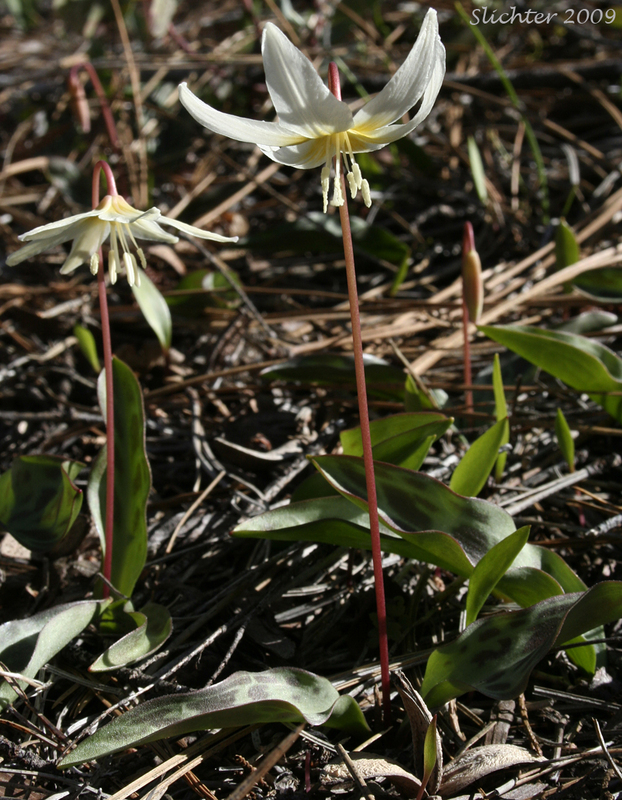 Lemon-colored fawnlily as seen in dry coniferous forest along the Illinois River to the southwest of Eight Dollar Mountain in southwestern Oregon..................April 5, 2009. Lemon-colored fawnlilies as seen west of Eight Dollar Mountain in the Illinois River Valley of southwestern Oregon.